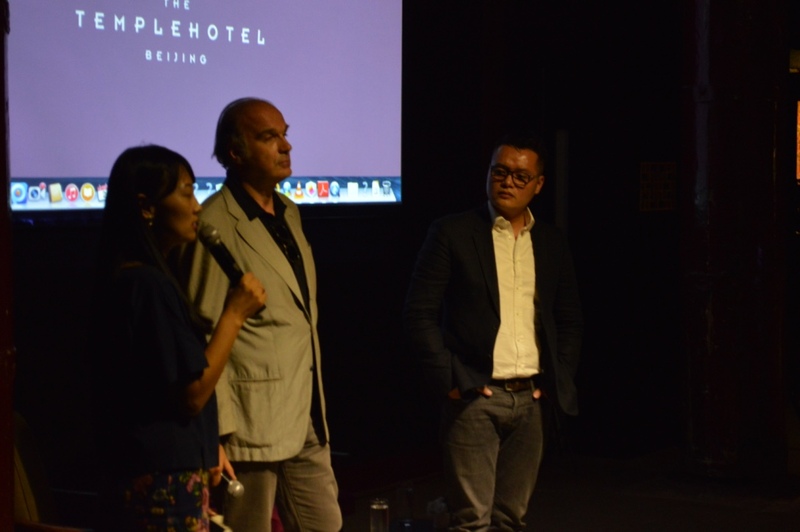 CBR would like to thank everyone who joined us last Thursday for a viewing of “The Making Of The Temple Hotel” hosted by Juan van Wassenhove and Lin Fan, two of The Temple Hotel’s founders. 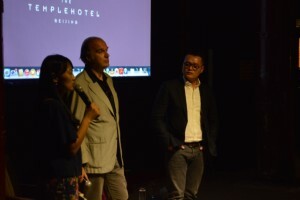 The event was held at The Temple Hotel – a cultural platform renovated and repurposed from an ancient temple, now featuring a mix of art spaces, numerous cultural happenings, function rooms as well as a restaurant. 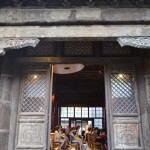 There were around 180 people who attended the event who shared in a range of interests including building restoration, architecture, Chinese culture, history and arts. The Temple Hotel is located North-East of the Forbidden City. 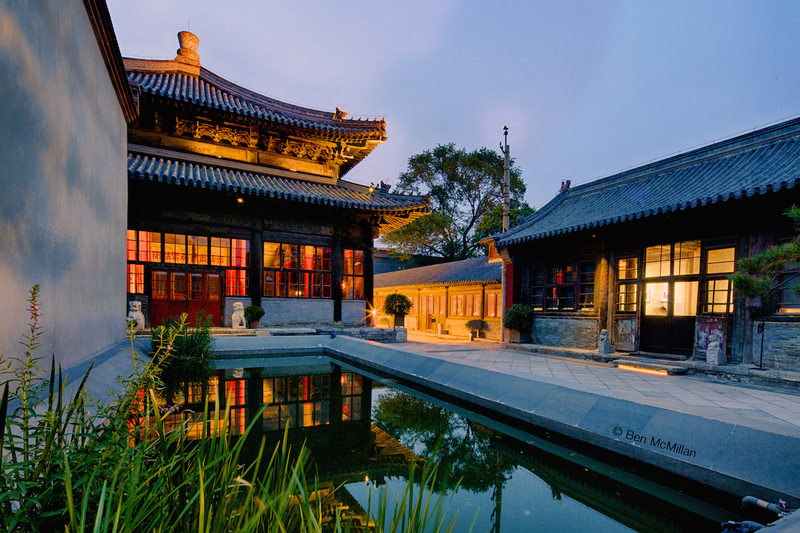 Imperial printing workshops were first built there during the reign of Emperor Yongle (1403-1424) during the Ming Dynasty (1368-1644). Later during the 1600s when Buddhism came into fashion, many temples were erected across Beijing. 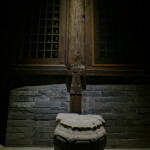 A complex of three temples known as Songzhusi, Fayuansi and Zhizhusi were commissioned by Emperor Kangxi in the early 1700s. 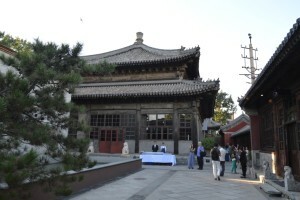 Today Zhizhusi (Temple of Wisdom) is the only structure out of the three still standing, now a part of The Temple Hotel. After 1949 most of Beijing’s 3,000 temples were converted for civilian use, including Zhizhusi and it’s neighbouring structures. The buildings underwent many transformations, including bicycle factory as well as a TV assembly factory in the late 70s where the first black and white TVs in China were assembled. By the late 90s, early 2000s it had fallen into disrepair and was serving primarily as a garbage dump. 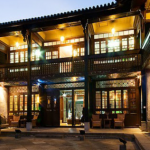 In 2007 Juan, Lin Fan and Li Chow – the third founder – discovered Zhizhusi, forgotten and dilapidated. Much transformed from it’s former days of glory, Juan describes how when they first entered Zhizhusi Hall it was filled with piles of rubble and debris, sporting a blackened ceiling damaged during a fire. Determined to rescue the place from crumbling into the ground the restoration of the temple complex began, a long and often arduous journey which would last five years. 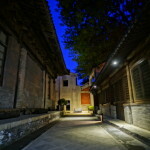 However the end result was worth the toil as, upon it’s completion in 2012, the newly opened The Temple Hotel received an Award of Merit by UNESCO Asia-Pacific Awards for Cultural Heritage Conservation, recognising Zhizhusi as being one of the best examples of heritage preservation in the Asia-Pacific region. As Juan explained to the audience during the event, the objective was not only to respectfully restore a former imperial temple, but also to give the buildings a new lease on life. The co-founder emphasised that they wanted to give the temple a current purpose, not create a museum piece frozen in time. Transforming many of the large open spaces into galleries and exhibition spaces fulfilled this lost purpose. The Temple Hotel is now home to several ongoing contemporary art installations utilising both the indoor and outdoor spaces. One of the most well-known installations which has been running since 2013 is the ‘Gathered Sky’ light exhibition by artist James Turrell. 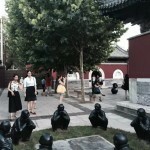 The founders also emphasised the importance of recognising and celebrating all of Zhizhusi’s various layers of history. Juan explained how they did not want to pick and choose which aspects of the temple’s legacy to retain or discard. As a result within the main hall Sanskrit ceiling panels share the same space as cultural revolution slogans (“united, alert, earnest and active”). 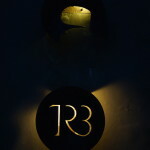 This is also visible in the overall building footprint of The Temple Hotel. 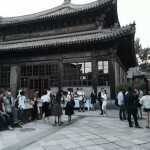 A brick building occupies the central space of what would formerly have been the main courtyard of the temple complex. 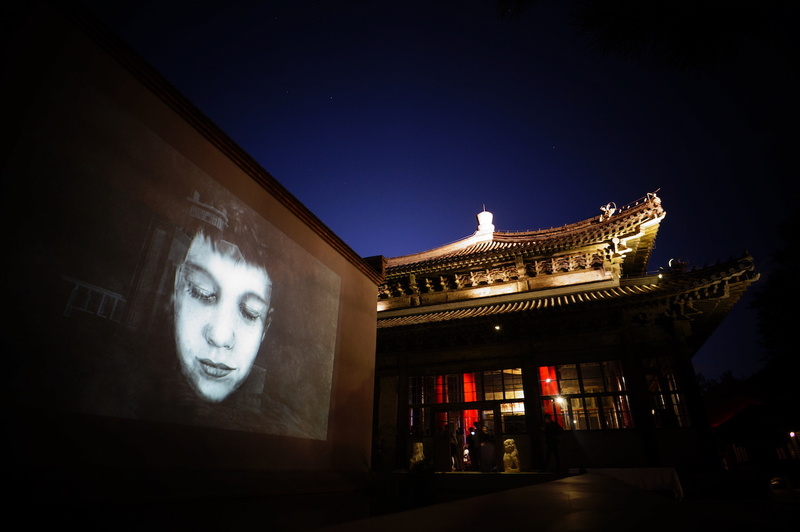 This later addition – formerly used as a workers dormitory – somehow still manages to blend in with the more traditional buildings; one of its walls skillfully transformed into a backdrop for projecting films and art installations. 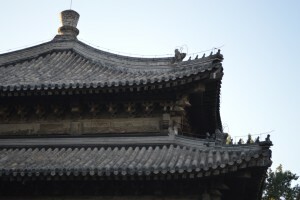 So how do you restore a crumbling 250 year old temple? According to the founders; with a lot of patience. They approached the process one step at a time, restoring beam by beam and tile by tile. It was a huge undertaking: 200 truckloads of rubble, the equivalent of 500 metric tons of household refuse, had to be removed and carted out on trucks through the narrow hutong alley. 80 cubic meters of new wood also had to be hoisted on site to replace unstable timber columns and beams. A total of 71 timber columns and 1,400 square meters of timber roof were replaced, as well as 43,000 roof tiles. The film explained how many building elements only partially or superficially damaged were repurposed or restored. Wherever possible, bricks, tiles and timber were reused. 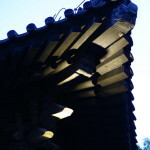 One example detailed the treatment of Zhizhusi’s roof, a traditional timber roof with grey clay tiles that had been adorned with a small stupa on it’s apex. Like a puzzle, the workers reassembled the stupa in it’s original position, with only a few missing bricks having to be made anew to fill in the gaps. The interior ceiling of the temple hall was another example of an area in need of much attention. A false ceiling, installed over 60 years ago in an attempt to conserve heat during the winter months, had been severely damaged by a fire in 1961. Upon removing the damaged ceiling a second layer of much older, painted wooden panels was revealed, the original Sanskrit paintings and letterings barely visible under decades of dust and grime. Juan van Wassenhove, a Belgian national, has been living in Hong Kong and China Mainland for over 15 years. Juan was a banker with JPMorgan for many years but has always been passionate about art and architecture. Juan is currently residing in Beijing, China and is widely known as co-founder of The Temple Hotel. 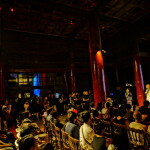 Lin Fan is a Chinese national and he graduated in photography at the prestigious Beijing Film Academy. 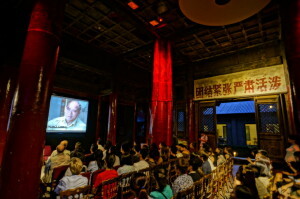 He works in the film industry and has co-produced a few Chinese art movies. He is currently developing an app aimed at amateur photographers. 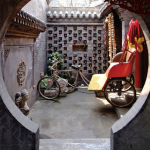 CBR is currently working with anySCALE and the Courtyard Institute to promote building restoration in Beijing and around China by hosting a monthly speaking series. 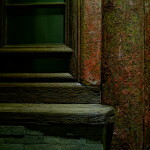 Topics include building preservation, restoration and retro-fitting, culture and heritage topics, and much more. So please keep an eye out for our upcoming announcements through our newsletter. You can also join our new WeChat subscription group at @ProjectCBR to receive more information. 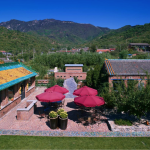 To learn more about Zhuzhusi complex and its neighbouring renovation project – Temple Restaurant Beijing – you can also refer to this article.